Now Louisa Akavi’s name is public. The International Committee of the Red Cross hopes that releasing her name will lead to her rescue. But New Zealand’s government sees it as a threat to her safety, Foreign Minister Winston Peters made clear on Tuesday. Following Akavi’s kidnapping in 2013 while was working for the ICRC in Syria, news outlets around the world withheld her name and nationality. 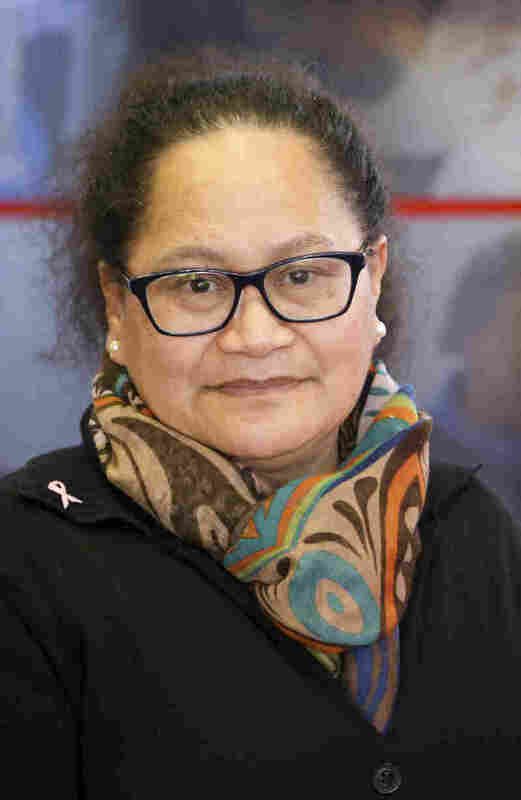 That changed on Sunday, after the ICRC published a plea for information on her whereabouts, using her name and sparking a back-and-forth between the humanitarian institution and New Zealand. Peter said the government opposes any steps that might endanger the 62-year-old midwife and nurse or impede her release, The Associated Press reports. New Zealand also fears making her a high profile captive, and therefore increasing the odds that her captors would execute her for propaganda. In 2010, she told the community newspaper Kapiti Observer about working in Bosnia in the mid-90s. She described entering the city of Tuzla and seeing Bosnians fleeing in the opposite direction. That October, she was in a Red Cross convoy delivering supplies to medical facilities in Idlib, according to the ICRC. Gunmen stopped the vehicles and took Akavi, Rajab and Bakdounes – along with four other people who were released the following day. ISIS demanded ransom from the Red Cross in fluctuating amounts, starting at under $1.1 million and rising at times to over $22 million, according to The New York Times. The ICRC told the Times that Akavi’s captors answered proof-of-life questions, convincing the humanitarian institution that they were in fact holding the nurse captive. According to the Herald, Akavi’s captors also emailed her family in New Zealand demanding a ransom and threatening that media coverage would lead to her death. That led to her name and nationality becoming a closely-held secret. The de facto blackout was overseen for some time by then-Foreign Minister Murray McCully, who would speak with inquiring editorial staff and spell out the possible consequences of publication, the Herald reports. When media outside of the country would publish her name, New Zealand’s intelligence partners across the world would reach out and seek cooperation. On Monday, Ardern thanked reporters for keeping Akavi’s name under wraps. Ardern also said that she hoped the misunderstanding wouldn’t affect the ongoing search for Akavi or “undermine” the relationship between New Zealand and the Red Cross, the Herald reports. It’s unclear if Akavi, Rajab and Bakdounes are still alive, though the ICRC said it had received “credible information” that Akavi was alive late last year. “Following the fall of the last territory held by Islamic State group, we fear there is an extra risk of losing track of Louisa, though we remain hopeful this period will instead open new opportunities for us to learn more about her whereabouts and wellbeing,” the ICRC wrote. The ICRC said it has never been able to learn any more details about Rajab and Bakdounes, and their fate is unknown.